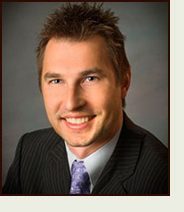 Dr. Racette is a board-certified osteopathic dermatologist through the American Osteopathic Board of Dermatology. Before joining FPS in 2013, he ran his own dermatology practice, which he opened in 2008 after graduating from his dermatology residency program at Midwestern University in Mesa, AZ. In 2010, he was ranked as a Phoenix "Top Doc" in Dermatology by Phoenix Magazine. Dr. Racette specializes in skin cancer detection and treatment. He is well versed in the latest techniques of Mohs surgery-a microscopically controlled procedure used to treat common types of skin cancer with optimal cosmetic results. As a dermatologic researcher, Dr. Racette has received research grants for several of his innovative ideas. He has conducted research with many of the biggest pharmaceutical companies in the industry, including Galderma, Amgen, Peplin, Johnson & Johnson, and many others. Dr. Racette has presented at conferences all over the U.S. and has been invited to speak as a guest lecturer on topics including general skin care, photoprotection and sunscreen, topical antioxidants, skin cancer, fungal infections, and many others. His research has been published in the Journal of the American Academy of Dermatology and the Journal of the American Osteopathic College of Dermatology. He earned his Bachelor of Science degree in cellular and molecular biology at the University of Michigan in Ann Arbor.